Make no mistake, without that Muslim disunity it’s hard to imagine the First Crusade being any more successful than any of the others, which is to say “not at all” (unless you count that Fourth Crusade, which sure showed it to those…Greeks, I guess? ), because the men leading it seem more or less to have had no idea what they were doing. I mean, they obviously knew how to fight in the barest sense of the term, but strategy, tactics, everything else was kind of a mystery, and if you thought the Muslims couldn’t get along with one another, imagine cobbling together an army led by a whole cadre of European princes who already hated each other’s rotten guts back home and who simply refused to be subordinated to any one of their number, no matter who the Pope might appoint as overall commander. 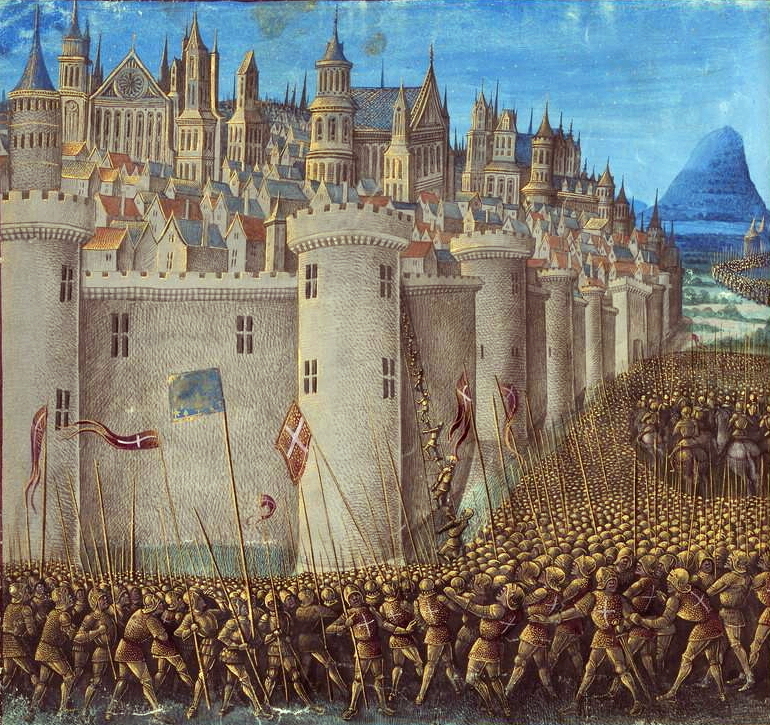 Nothing illustrates the ineptitude-combined-with-dumb-luck nature of the First Crusade as well as the Siege of Antioch, which ended on this day in 1098, when the Crusaders earned the distinction of going from besiegers to besieged in what was almost literally the blink of an eye.